Extract Transform and Load (ETL) Testing, Product Version Internal Database Migration, External database migration testing. 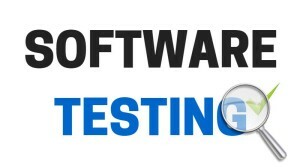 End to End SIT, End to End UAT, System Testing, Web Application Testing, Agile test management, Test readiness, Test Execution, Manual Testing. We recommend with Agile Scrum methodology. However we are good with traditional Waterfall or V model. Core Banking, Internet Banking, Governance project, Client Server applications, Insurance, Customized products, ERP products, Inhouse product.